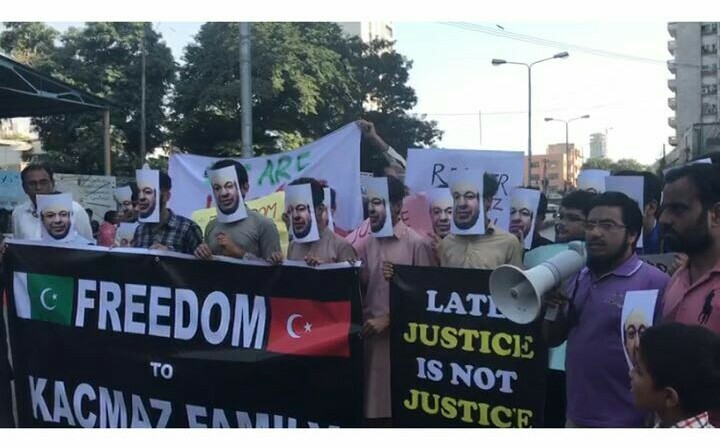 KARACHI / HYDERABAD: ‘We want justice, we are all Kacmaz’ chanted people attending a protest to secure the release of Mesut Kacmaz, an educationist of the Pak-Turk Schools, and his family outside the Karachi Press Club. Protesters held banners and placards and wore masks bearing a picture of the educationist’s face on Saturday. According to the staff members of the schools, Kacmaz, a former principal at one of the Pak-Turk schools, was whisked away on September 27 from his residence in Lahore. We want the safe release of the entire family, urged one of the staffers of the schools. He added that Kacmaz worked diligently and was once attacked by armed men yet he did not give up serving as a principal. The former finance manager of the Pak Turk Schools Sindh region, Abdul Ghani, said while talking to The Express Tribune, “Kacmaz and his family faced imminent deportation to Turkey, where they would unquestionably be subjected to torture and incarceration, while their children may have been sent to a state orphanage.” He said, while quoting unofficial sources, that Kacmaz and his family have now been relocated to another city for deportation. 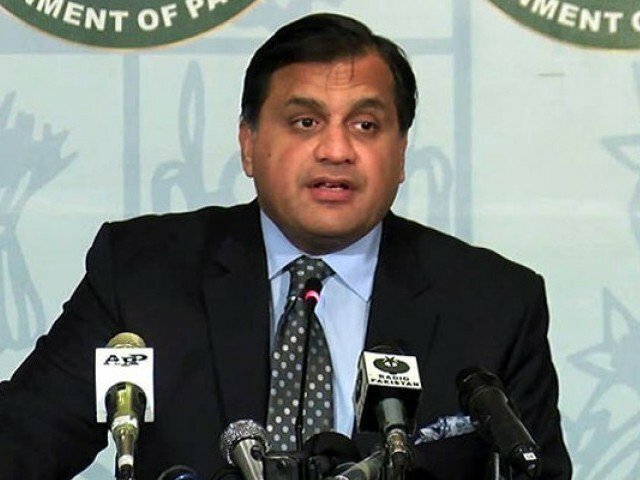 According to him, in full violation of the earlier decisions of the Lahore High Court and other high courts in Pakistan, armed men posing as law enforcement agents conduct raids to intimidate Turkish educationists who are under the United Nations High Commission for Refugees (UNHCR) protection through asylum seeker certificates. “None of the 78 Turkish families feel safe to stay at their residence, fearing impending raids,” he added. A teacher, Umair Hussain, said that all Turkish educationists are law-abiding foreigners who have not been involved in any illegal or detrimental activities within or outside of Pakistan. 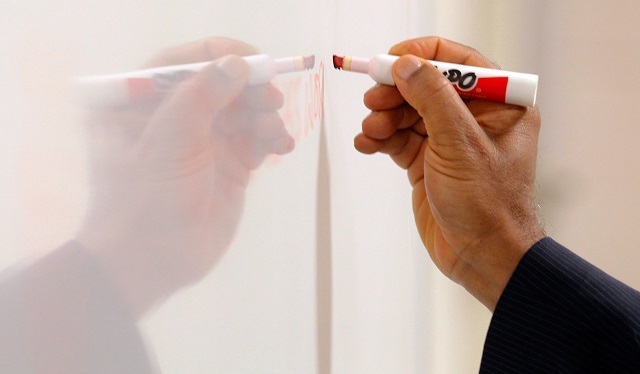 “Having been deprived of their teaching jobs as a result of a political deal between the governments of Pakistan and Turkey in November, 2016, Turkish teachers have been victimsed. Pak-Turk is not only a school but it is the name of two cultures and, with the forceful deportation of teachers, the children would be the biggest sufferers,” Hussain said. 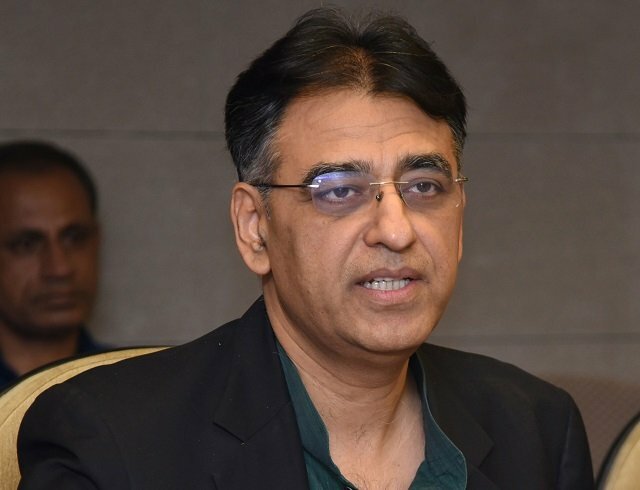 “The future of more than 12,000 students in 28 Pak-Turk schools in Pakistan is at stake, out of which 3,500 are in six branches in Sindh,” he said. The parents of students enrolled in the Pak-Turk Education Foundation’s school in Hyderabad appealed to the government to ensure Kacmaz’s safe recovery. At a press conference at the Hyderabad Press Club on Saturday, parents, Shahnawaz Rind, Ghulam Murtaza and others urged the government to allow Turkish people with the refugee status to live peacefully in Pakistan. They claimed that the Turkish teachers working in the foundation’s 28 schools in Pakistan are being harassed in different cities, especially Lahore and Islamabad. According to them, the UNHCR granted on November 28, 2016 a one-year refugee certification to an unspecified number of Turkish teachers. The status will lapse on November 30. In November last year, the government of Pakistan cancelled the visas of Turkish nationals associated with the foundation and asked them to leave the country within six days. But the decision was challenged in the provincial high courts, which granted a stay.